I was very young when I understood why a heart shape symbolises love. 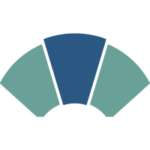 It was the shape of the fair face of barn owls – and I loved barn owls. Prefab childhood in 1950s Dundee was essentially lived more out of doors than in. The prefabs were neatly buttoned to a west-facing hillside along the last street in town, and the farmland of Angus began across the road. Fields were as much for playing in as growing crops. From the top of the highest fields the land fell away northwards and rose again to the promise of the Sidlaw Hills. I considered winter geese and spring and summer skylarks to be as much my neighbours as my fellow prefab-dwellers ever were. The entrance to the farmyard was no more than a quarter of a mile away from our prefab, but it was forbidden territory, and inhabited by what Lewis Grassic Gibbon would have called “coarse brutes”. Thinking about it now, they must have been simply people who did not know how to get on with the non-farming neighbours surrounding them on three sides. I hid when I saw them coming, though it does me no good to admit it now. One of them, only slightly older than myself, once opened a nasty cut in the side of my leg with an astonishingly well-aimed stone. But the stackyard was a different proposition from the farmyard. I thought of it as no-man’s land. It belonged to the farm, of course, and farming things happened there, but it was frontier land that lay between the farmyard and the street from which it was only flimsily fenced off. And mine was the kind of childhood that did not pay much heed to flimsy fences. Haystacks were shifting, unchancy creatures, especially at night. They seemed to appear overnight then stood around for weeks, or months, and grew dishevelled in gales and downpours. Voles, mice and rats and other furry beasts I couldn’t name sped along the curved alleyways between stacks, and barn owls loved voles, mice and rats as much as I loved barn owls, albeit a different kind of love. So my first barn owls coursed silently through my most impressionable years, low-flying, head-down hunters that tilted and swerved on one wingtip or the other as the light faded over the Tay estuary far below and the lights of villages on its Fife shore glittered in small clusters. The darker the night, the brighter the face, the breast and the underwings of the moping, mopping-up owl, and the more predatory its grip on my young imagination. 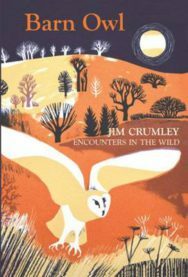 Jim Crumley is a nature writer, journalist, poet, and passionate advocate for our wildlife and wild places. Louisa Preston on the V&A coming to Dundee.